We are able to customize and adapt to any installation requirement that you may have. We will supply you a "no-obligation" consultation. 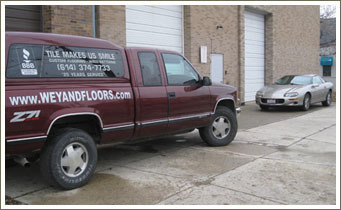 Feel free to call Rick at 614-374-7733 or click continue to request a free quote. 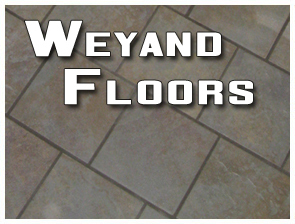 Weyands Floors serves all of the Central Ohio/Delaware/Franklin/Columbus/Westerville/Hilliard/Powell/Sunbury/Gahanna/New Albany/Whitehall/Grove City/Groveport areas with professional tile installation of ceramic tile, porcelain tile, marble, granite, glass, metal tile and stone materials for residential and commercial applications. No custom tile installation is too small or too large. Our mission is to provide quality tile installation with efficiency and reliability. We bring to you over 25 years of experience in professional tile installation. We specialize in creating the right look for your custom tile project. We pride ourselves on our ability to ensure customer satisfaction. We utilize only the finest ceramic tile materials, procelain tile materials, stone material and marble - both inside and out, and stand behind our work! If you are looking to improve the quality and value of your property, look no further! You will find plenty of pictures in our tile project gallery. We take great pride in our work, and we know you will too. We take nothing more serious than customer satisfaction, and nothing proves that better than our track record. With over 25 years of experience under our belt, we continually strive to make our customers happy. Make us your preferred tile contractor.